The toughest spot to run a stall in Dixon House Food Court is hidden away up in the far corner. This spot has had the shortest lived but most interesting stalls over the years, and Weng Xiao Chu is the most popular and most accessible in a long time (sadly we never got to the Vietnamese guy here before, it looked good). 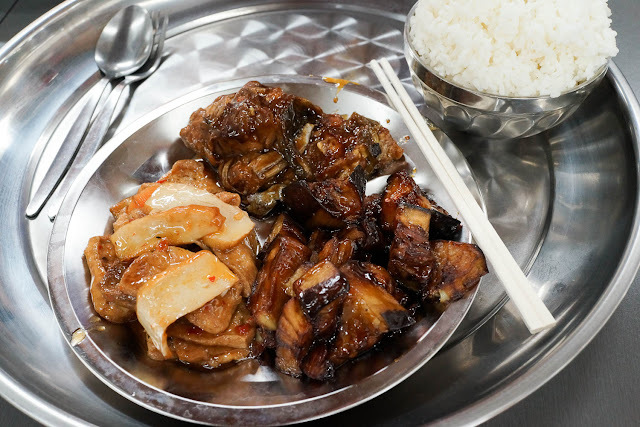 Weng Xiao Chu has a small cooked-to-order menu but the real hoo-ha is to be found in their glorious bainmarie-of-love. The food very much reminds us of lunchbar joints we've visited all over China - delicious, quick and healthy - homestyle food, the sign says. As always, if Weng Xiao Chu appeals to you then get in and try it now, it could be here for a month or a decade, you just never know. The stall is quite popular, we just hope the turnover makes up for the low prices and they stick around for a while, this style of food is quite hard to find in Sydney and we love it so much. For similar homestyle cooking kicks try sniffing around the unis - Zhou Mum feeds UNSW and Chulin Chinese Cuisine & Deli feeds UTS and USYD. Notre Dame students eat at Oporto. 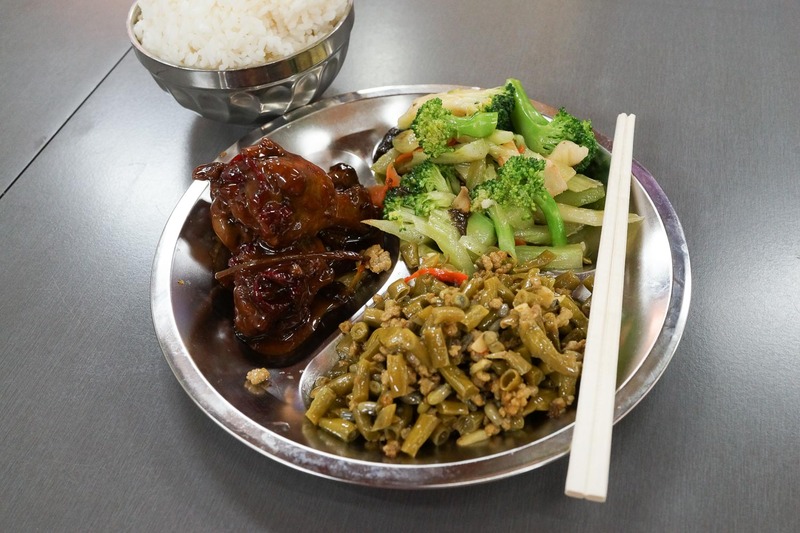 Two choices with rice is $7, but why not go for three choices at $9? Chicken legs in a dark sweet sauce, we get some mixed veggies because Nanna told us too, pickled long beans (like green beans but a little chumpier) with flecks of (pork?) mince for flavour. Eeee! 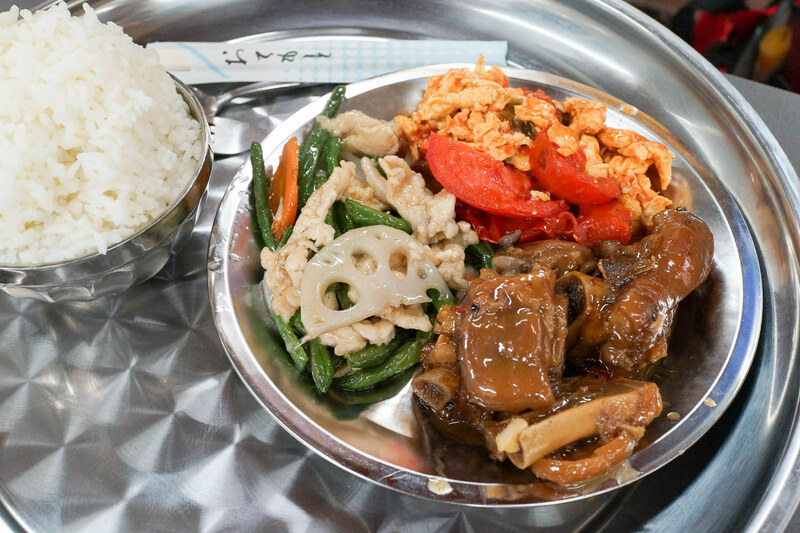 More mixed veggies with bonus pork and mushies, a most fantastical fish in brown sauce, and an equally fantastical egg and tomato, which has a dash of tomato paste or maybe ketchup making for a deeper tomato flavour, it works wonders. 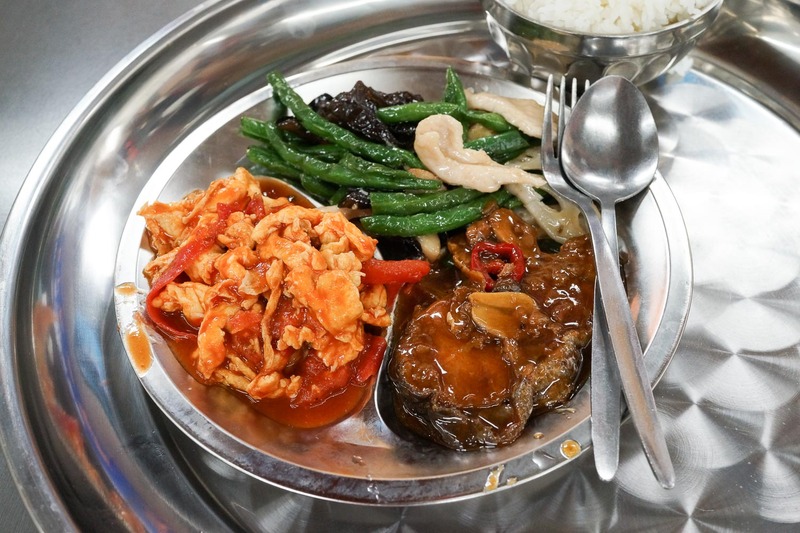 We ignore our food blogger photo instincts and pick all brown dishes - fish in brown sauce, smokin' Joe egglant and some slices of tofu and fishcake. Aye - this is more colourful - pork ribs - firmly gelatinous, one of those Chinese textures we've grown to adore; mixed veg with a some pork thrown in to ward off hippies; and we go the tomato and egg again, it makes the world better. 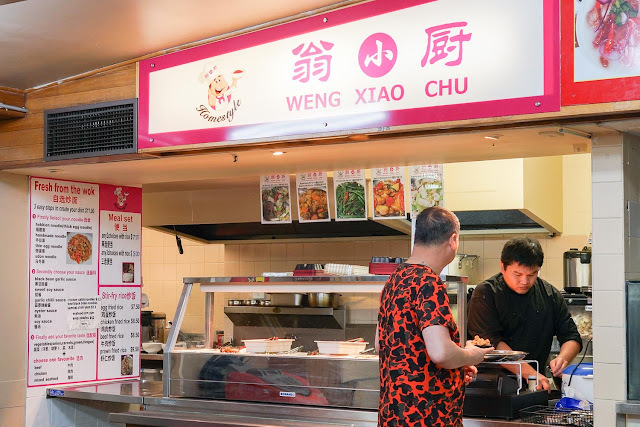 Weng Xiao Chu is in the Dixon House Food Court - hidden in the far corner near the loos and the quiet tables where old blokes hang out and watch Ellen - cnr Little Hay and Dixon Street, Chinatown. This post is brought to you by Ms Pia J. 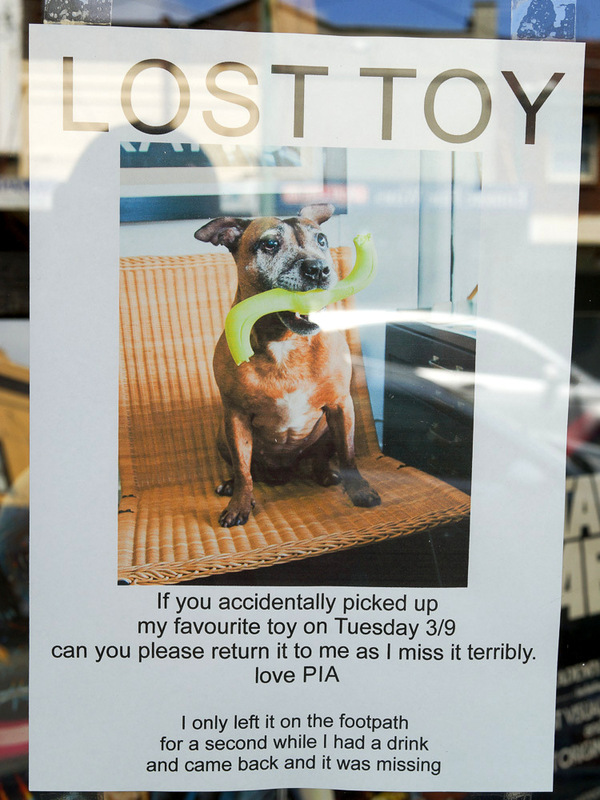 Dog, colourful local identity of Enmore Road. It is a tough gig down the end there, and the stall has closed down. Also the ma la tang has closed down, which is surprising as it seemed successful and busy usually. A couple of other stalls are also closed, and it's looking a little sad down in Dixon House FC. That’s sad to hear. Strange about the mala tang joint too, I thought this one would survive out of others.